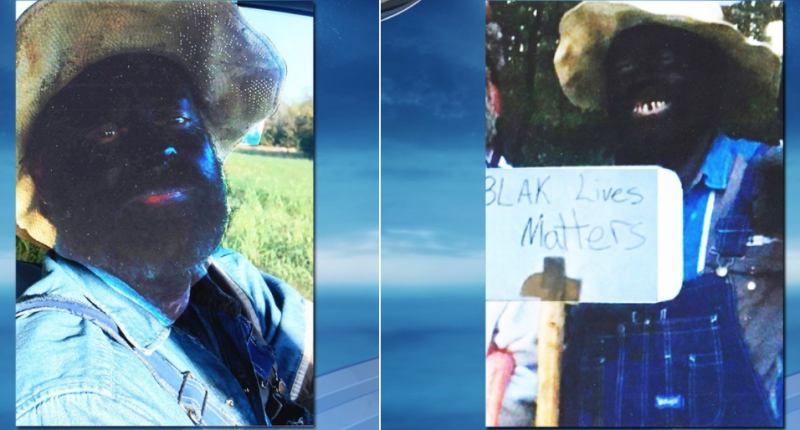 Ted Bonner, an eastern-Arkansas school board member, is being called on to resign by the Arkansas NAACP and several residents after photos surfaced of him wearing blackface as a costume for a Halloween party while also holding a sign referring to the Black Lives Matter movement, the Associated Press reports. On Monday, during a Blevins School Board meeting, the NAACP and others demanded Bonner's resignation. Bonner, however, who has two years left in his term, has refused to resign. According to AP, during the meeting, Bonner, who is white, refused to address the question as to why he dressed up in blackface. "It's embarrassing, it's ridiculous and it's hurtful to the people of Arkansas, not just the people of Blevins," state NAACP-chapter President Rizelle Aaron said. "Ted Bonner has no remorse; he is not apologetic." Bonner claims that he was unaware that there was such a thing as blackface and told KSLA-TV that he was "very sorry." The local NAACP chapter, after hearing that there would be no action taken against Bonner, said that it would protest in Blevins.